Need help planning a custom tour for your family, friends, church, or school group? With our extensive network of contacts around the world, TourMagination takes care of the planning, so you can relax and enjoy every moment of your journey. Tours are tailored specifically to the needs of your group and customized to the type of travel and location. We can help you explore a topic of interest or plan an extra special anniversary, graduation, or birthday tour! We can provide you with an expert storyteller and/or a tour leader to coordinate logistics during the tour. Or you can enjoy the itinerary we plan on your own. We recommend the best places to stay, breathtaking sights to see, and connect you with excellent in-country guides. We are happy to connect you with our preferred agent for your flights or you can arrange your own air travel. 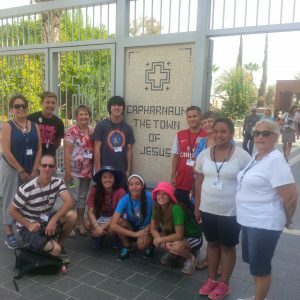 TourMagination specializes in church group travel, custom family/friend travel, as well as, custom tours for college, university, and high school groups. We have also planned tours for historical societies, non-profit organizations, and corporate teams. Whether you want to follow the Silk Road, visit the Taj Mahal, go on an African safari, or trace your family roots, TourMagination will create a custom tour that exceeds your expectations. Contact us today to arrange a custom tour for your group.